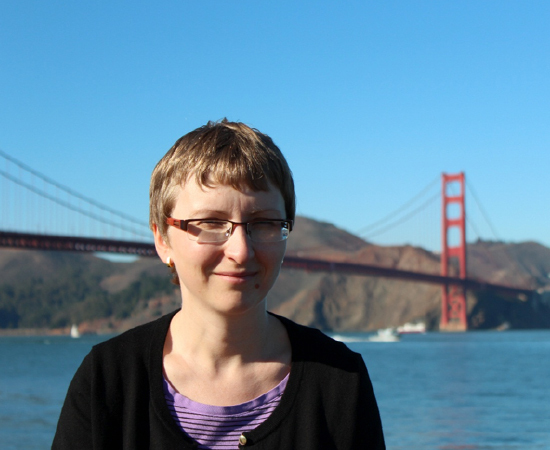 Olga Dmitrieva joins the School of Languages and Cultures as an Assistant Professor of Russian and Linguistics. She received her PhD in Linguistics from Stanford University, and her M.A.s in Linguistics from Stanford University and the University of Kansas. She also holds a specialist diploma degree in Philology (Languages and World Literature) from Tomsk State University (Tomsk, Russia). Prior to her position at the School of Languages and Cultures, Dr. Dmitrieva taught for the Interdisciplinary Linguistics Program at Purdue. Dr. Dmitrieva’s research interests lie in acoustic phonetics, crosslinguistic speech perception, and laboratory phonology. She is also involved in research on second language acquisition, in particular the interaction between the phonologies of the first and second language in bilingual individuals. Recent projects have focused on experimental evidence for the perceptual optimization in phonology and production of voicing in languages such as Russian, English, and Spanish. Dr. Dmitrieva teaches courses in both theoretical and experimental linguistics, specifically in the areas of phonetics and phonology. Some of the previously taught courses are Introduction to Phonology, Acoustics of Speech, and Phonetics of Second Language Acquisition.